Podcasts Archives | SENSEI ENTERPRISES, INC. Hosted by two leaders in the cybersecurity and digital forensics industries, Sharon D. Nelson, Esq. and John W. Simek, Digital Detectives is for listeners who are interested in digital forensics, e-discovery, and information security issues. Nelson and Simek invite digital forensic and computer security experts to enlighten listeners on the latest e-discovery technology, cyber threats and security policies and measure to keep data secure. The Digital Edge: Lawyers and Technology, hosted by attorneys Sharon Nelson and Jim Calloway, provides listeners with tips and tools for career success, as well as cutting-edge technology news. Nelson and Calloway invite noted authors, speakers, and legal technologists to discuss topics at the intersection of law and technology. Brett Burney is Principal of Burney Consultants LLC, and focuses the bulk of his time on bridging the chasm between the legal and technology frontiers of electronic discovery. He is also the author of the free download eDiscovery Buyers Guide at www.ediscoverybuyersguide.com. If your law firm’s digital marketing plan isn’t working for you, consider changing your tactics! In this episode of The Digital Edge, hosts Sharon Nelson and Jim Calloway talk to Gyi Tsakalakis about how to be successful in digital marketing for small and solo firms. They also advise lawyers to have ownership for all of their online content, caution against being overly self-promotional, and encourage lawyers to track and measure their marketing efforts to effectively evaluate success. How are lawyers budgeting for technology in their firms and where do they need to catch up on legal tech? In this episode of The Digital Edge, hosts Sharon Nelson and Jim Calloway talk to Sofia Lingos about the ABA 2018 Legal Technology Survey. The survey and its subsequent report gives lawyers current statistics on the state of technology implementation in law firms. They discuss how lawyers can use this information for ideas on what their firms need to do to stay level with emerging technology. Sofia Lingos, Esq. is the founding and managing attorney of Trident Legal, a Boston based law firm that provides innovative transactional legal services to small businesses, entrepreneurs, and start-ups in diverse industries throughout all stages of growth. On The Road is at ABA TECHSHOW 2019 in Chicago! 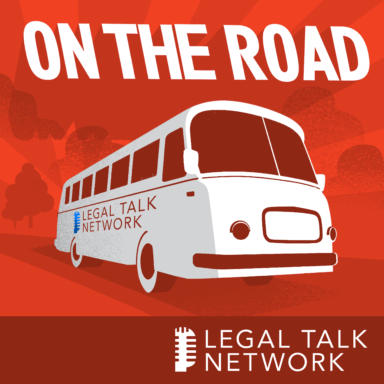 In this report, host Sharon Nelson talks to John Simek and Brett Burney about the things lawyers should know about collecting and preserving discovery from mobile devices. More and more, people are forgoing desktops and even laptops in favor of smartphones or tablets. John and Brett discuss the various methods of collection and what they recommend in different situations. They also discuss the common concern with security of mobile devices against government investigation. What are the distinctions between penetration testing and vulnerability assessments? In this 100th episode of Digital Detectives, Sharon Nelson and John Simek talk to Sherri Davidoff about her career as a penetration tester and what she has developed with the companies in the area of cybersecurity. They discuss why law firms should consider pen testing in order to illustrate areas of weakness in security and become better protectors of their information. They also get a sneak peek of Sherri’s upcoming sessions at ABA TECHSHOW 2019. Sherri Davidoff is a cybersecurity expert, author, speaker and CEO of both LMG Security and BrightWise, Inc.
How can access to justice technologies be developed through a game? In this episode of Digital Edge, hosts Sharon Nelson and Jim Calloway talk to David Colarusso about the Learned Hands project. Learned Hands is a game in which lawyers spot possible legal issues in real people’s stories about their problems. This machine learning game identifies text classifiers for developing a new taxonomy that can be used to connect people with public legal help resources. The processes of eDiscovery and its regulation are constantly changing. The challenges that come with this continuous evolution require lawyers to be educated on best practices. 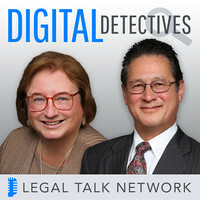 In this episode of Digital Detectives, hosts Sharon Nelson and John Simek talk to Doug Austin about the most prominent trends in eDiscovery. They talk about the new developments in data privacy laws from 2018 and discuss the most significant criminal and civil eDiscovery cases. The world is changing for students and free speech — how does the Tinker decision hold up? In this On The Road episode at the ABA Midyear Meeting, hosts Sharon Nelson and John Simek discuss the presentation titled “Tinker at 50: Student Rights at the Schoolhouse Gates and Beyond” with a group of panelists including Salvatore Russo, Alex Johnson, Steve Wermiel, and Jim Hanks. They talk about how Tinker has evolved and what free speech challenges schools and students face today.Salvatore Russo is an assistant professor at California State University at Dominguez Hills where he teaches political science and constitutional law.